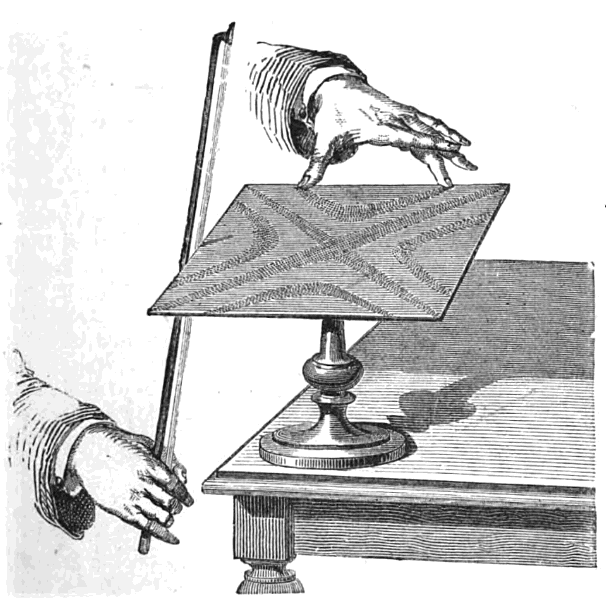 ‘Germain (1776-1831) was a French mathematician who studied plate vibrations. She won a prize from the French Academy of Sciences for developing a theory to explain the vibration of flat and curved plates. ‘A composer, multi-instrumentalist, roboticist and sound historian. Sarah’s work explores her obsessions with defunct machinery, faded variety acts and European folklore. 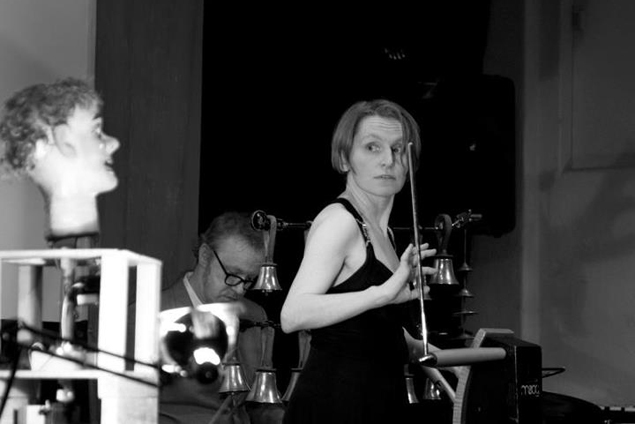 Sarah’s music mixes her own software patches (using Max/MSP, Supercollider, PRAAT and other tools) with her samples, field recordings and live performance on theremin, saw, recorder, waterphone, keyboard, handbells and other instruments. On stage, she’s often accompanied by musical automata – machines she’s been devising and building since 2005 as she’s been seeking a more theatrical alternative to the laptop, sampler and loop pedal.